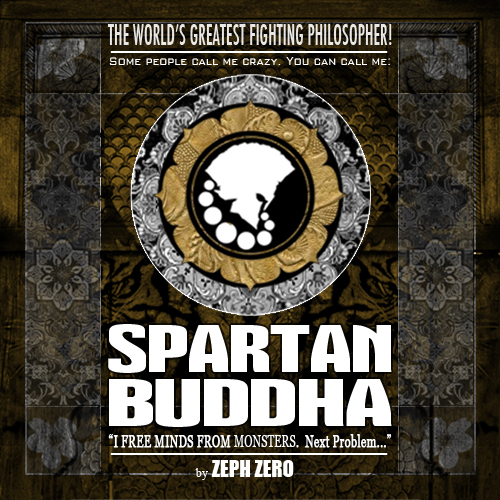 Subscribe to Spartan Buddha by Email! Spartan Buddha is a response to stuffy ideas and crippling beliefs. Some grown children cry, some make comics. This rebellion will be drawn in black and white. Men are simply problems. ZEPH Zero is a solution. Will his ART help better mankind or destroy it? In a hundred years we’ll see if there’s anyone left to care.